Let our customers tell you how they felt about their experience with Creative Designs. "I've been doing business with Creative Designs for the last 27 years. Whether it is wall to wall carpet, wood floors or any kind of custom rugs they do a masterful job. Great selections but most importantly: one of a kind, personalized customer service." Fredo Valladares - President - Design Nuovo, Inc.
"I've been working with Jim and his team for the past 28 years, and cannot say enough about what a pleasure it has been working with them. They’re above all professionals, but are also a joy to work with. They've a great expertise regarding their products, are well organized and creative, and follow through with promises. I look forward to my continued business relationship with the team at Creative for many years to come." Amy C. DuBois - DuBois Rug Designs, Inc.
"P&H has had the privilege of working with Creative Designs for nearly 30 years. They are capable of handling the most challenging situations with experience and professionalism. They are an outstanding service orientated business that has enabled our growth and success over the years." "I am writing this to recommend the services of Creative Designs in Carpet. During the past 10 years our company has been working hand and hand with Jim and his staff on numerous different kinds of projects. The company offers high quality carpet services. We can say that we have always been amazed at the quality and attention to detail from the result of their work. I would like to ask you to consider Creative Designs in Carpet for all your carpeting needs. I strongly recommend the services of this company and always look forward in working with them in the near future." "Working with the talented team at Creative is an absolute pleasure. Jim’s knowledge and quality of work is unsurpassed in the industry, and it is that level of expertise that my clients expect and that I want on every one of my projects." "Jim and everyone at creative have been fabulous to work with. They have been my go to source from the very beginning. Thank you Jim and Dottie and the entire sales, installation team of wood and runners for always being total pros. We have delivered a lot of gorgeous happiness thru the years to our clients! "I have been working with Creative Carpet for 8 years in South Florida. They are wonderful to work with. Their installers are fantastic as craftsmen and easy to work with. Jim and Irish always are on top of everything from tracking goods to managing installs smoothly. Jim always is accommodating with getting measures and estimates done quickly. I would recommend them highly always." "I have been working with Jim for many years and must say he is a pleasure to work with. Very professional and always comes through!" "I have had the pleasure of working with Creative Designs in Carpet for over 20 years. They have supplied many of my Residential as well as Commercial projects with carpet installations, wood flooring, custom area rugs and recently rubber flooring. Their workmanship is excellent and their customer service is exceptional! I would highly recommend them." "I have worked with Jim and the staff of Creative Design for over 20 years. They have completed both residential and commercial floorcovering installations for me , as well as fabricated many of my clients area rugs. Their service is always timely, professional and reasonably priced. Their pleasant attitude and knowledge of their craft make them one of my most valued and appreciated vendors. I highly recommend Creative Designs in Carpet." Our goal has always been to make floors beautiful. Whether it be through carpet, rugs or hard floors we will make sure you are satisfied with the high-quality results we strive for. 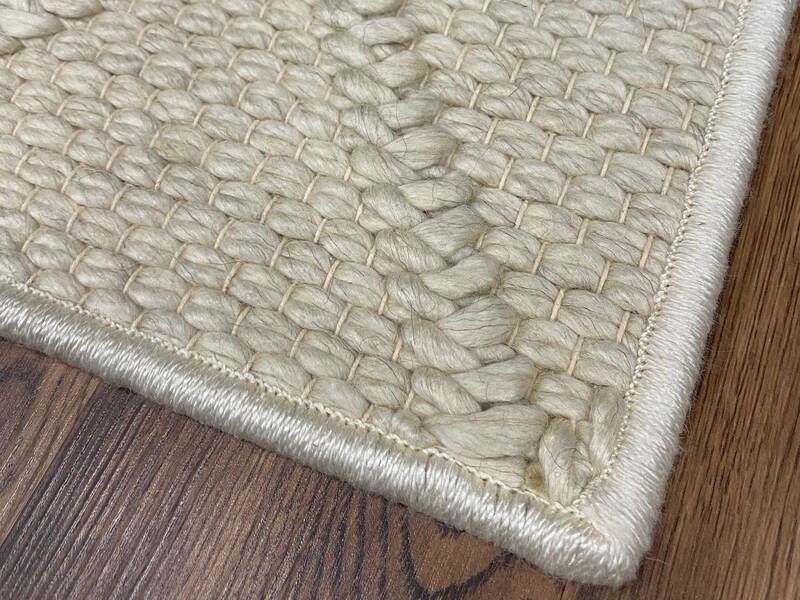 -Creative Designs in Carpet specializes in fabricating and installing area rugs, stair runners, wall to wall carpet and sells exclusively to the interior design trade. At Creative Designs we are constantly educating ourselves and our customers on current trends and techniques in the flooring industry. We are always listening and learning from our industry and our customers and are enthusiastically bringing this knowledge to all our jobs. We plan and schedule efficiently because we know that your time is as important as ours. We are meticulously dedicated to our interior designers and their clients. What makes us unique is our honesty and creativity. We are willing to listen to your needs and wants and are keenly in tune to making those needs and desires happen. We will always deliver our full one on one attention and our valued designers are always welcome and encouraged to use our showroom. We care about your budgets and timelines, will always provide the best value to you and will finish your job exactly as you expect it. We are certified by multiple organizations dedicated to the highest quality standards in Design, Flooring Installation, Inspection, and Cleaning. With decades of experience and training from the finest professional training courses, we are happy to share insights into the latest industry trends and standards. We provide services and rates only to trade professionals, which includes interior designers, architects, general contractors and others with design experience. Our design showroom is available to trade professionals looking to begin their next project. Providing high-end carpeting, rugs, and all flooring services to the trade.